As I'm up to my elbows in flour and the kitchen is a disaster and there are magnificent smells coming from the oven as one of the pies bakes, I had a thought. Who says you have to have a wedding cake? Fellow pie lovers, unite! I love cake...as an art medium. I love gorgeously decorated cakes. I love decorating cakes gorgeously. I'm a big fan of cake, really. 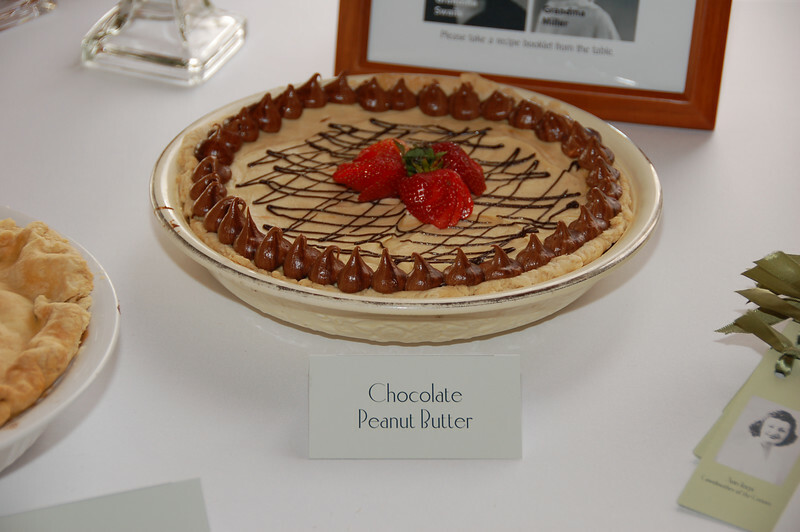 But if I'm going to eat a sweet treat, pie wins every time. And I'm clearly not the only one. I particularly love the old family photos of the honored family members baking! 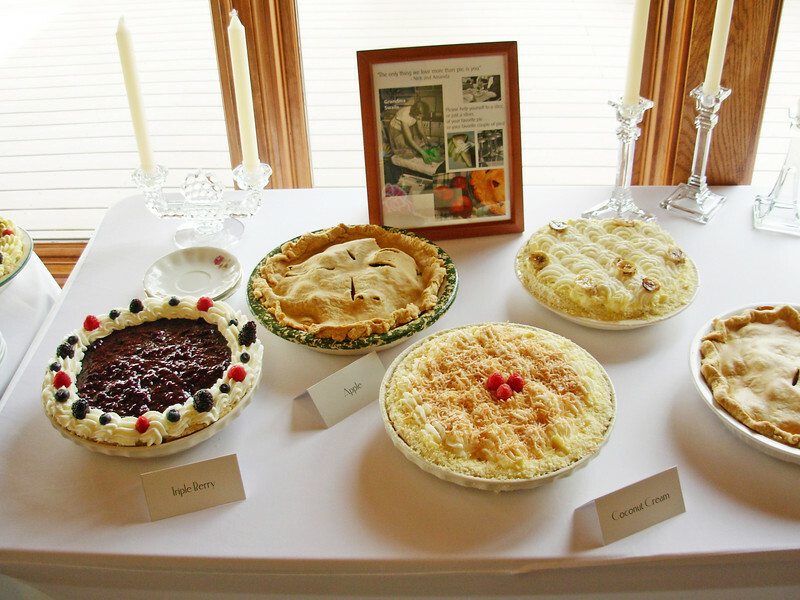 Just to the right, you can see that they had recipes out for each pie, beautifully printed, complete with a picture of the family member from whom the recipe came. What a wonderful way to incorporate missed loved ones, and honor family history! 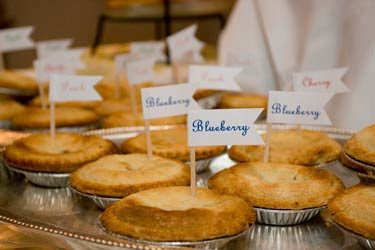 And how cute are these miniature pies? 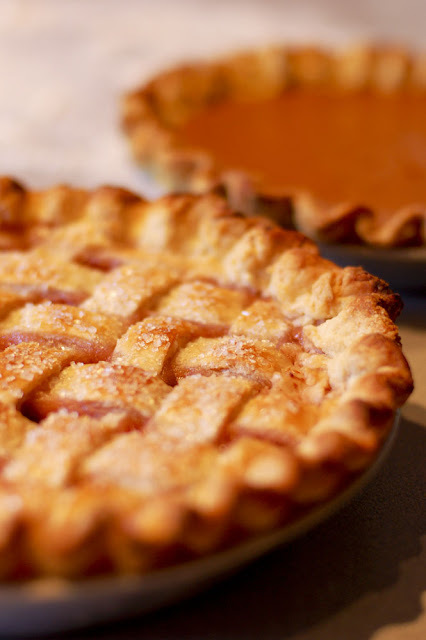 The only thing better than a slice of pie is a pie all to myself. Plus, miniaturized anything amps up the adorable factor. Those toothpick banners are the perfect finishing touch, and a great way to incorporate the color and theme of your wedding. Photo courtesy of Sweetwater Portraits. Obviously, wedding pie would be perfect for a fall or an orchard themed wedding, but I think it's perfect for any season. Now, back to my own baking! If only I didn't have to wait until tomorrow. Happy Thanksgiving, everyone!